Dr. Jansen is a Clinical Instructor in Medicine in the Division of Hematology-Oncology at Vanderbilt University Medical Center. She is a physician-scientist with clinical and research interest in breast cancer. Her research efforts are focused on identifying novel combination therapies for breast cancer and the mechanisms that lead to drug resistance. Specifically, she is studying the mechanisms of resistance to CDK4/6 inhibitors in hormone receptor-positive breast cancer. CDK4 and CDK6 are proteins involved in the regulation of the cell cycle pathway. Inhibition of CDK4 and CDK6 results in cell cycle arrest, thus preventing the proliferation of cancer cells. She also treats breast cancer patients at the Vanderbilt Breast Center. 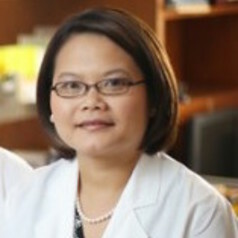 Dr. Jansen has received numerous awards and honors for her research endeavors including a 3 year competitive grant from the Susan G. Komen Foundation (2015-2018), a Conquer Cancer Foundation Young Investigator Award (2015-2016), an American Society of Clinical Oncology Merit Award (2014), an American Association for Cancer Research Women in Cancer Research Scholar Award (2015), and a San Antonio Breast Cancer Symposium Clinical Scholars Award (2015).